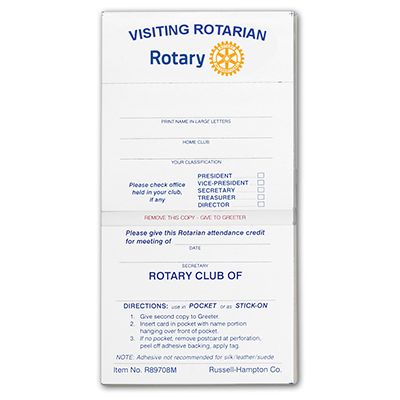 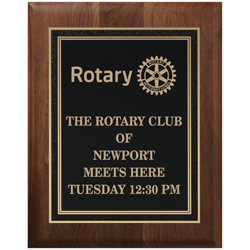 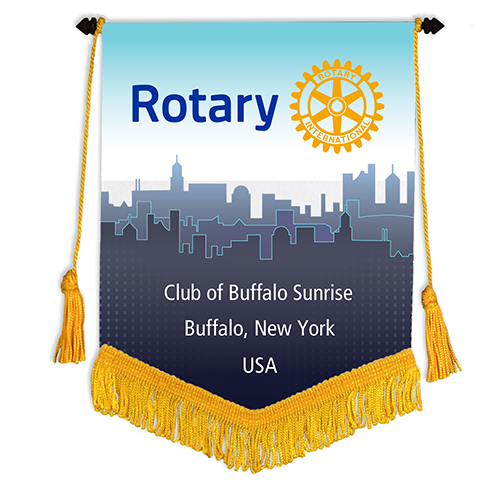 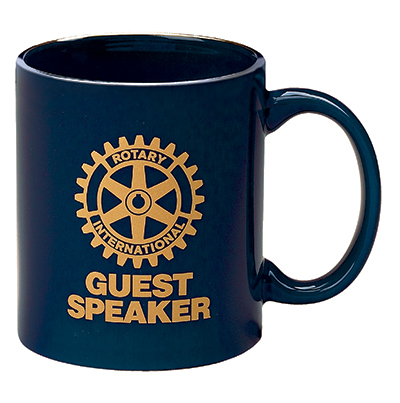 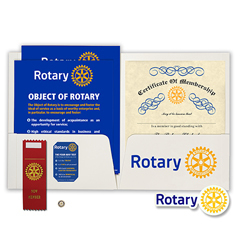 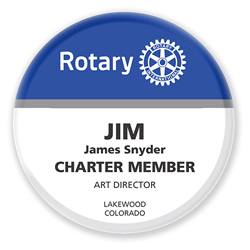 Traditional style Charter Member or Special Title Rotary Club name badge. 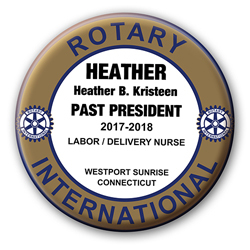 Personalized 3-1/2" diameter badge with clear vinyl cover. 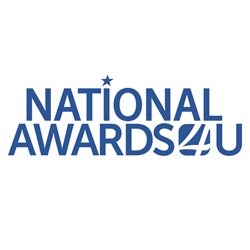 This badge can be used for Charter Members, Honorary Members or any special title.You must specify the special title you want to appear on the badge. 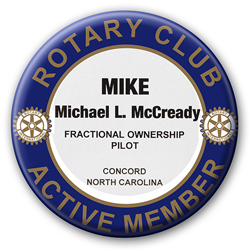 Enter all the following information exactly the way you want it to appear on the badge.